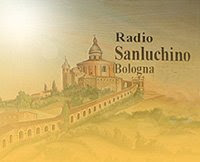 I e-mailed old recording to Radio San Luchino (www) Bologna, Italy. I heard that station in Finland in summer 1991 on 104.7 MHz. In the clip there was a woman giving sms-number to the station (mp3). "...con emozione confermo che la voce è la mia..mi chiamo Bruna Zamboni e lavoro a Radio Sanluchino da 25 anni.... Complimenti per la tua bella famiglia - cordiali saluti da tutto lo staff di Radio Sanluchino"
So, Bruna Zamboni told she listened that old clip with great emotions because she was talking on it (and she has been working for the station now for 25 years!) !! It is a great pleasure to mail old clips to the stations because they might bring memories to the staff! The oldest one I just sent was Radio Parma (102.0 MHz, www). They confirmed my recording from 1983 and identified that the speaker on the clip was Platinette (www), who is famous drag-queen today!! Today, also Discoradio from Caravaggio, North Italy mailed verification. The reception was from summer 2001. Station manager M. Lagonegro tuned my clip.